Achieve business success with Virtuagym's pilates studio software. Streamline your workflow, minimize repetitive tasks, and spend more time with your students. Each day brings sales and new memberships to set up. Virtuagym transforms these tasks into fast, bite-sized processes, giving you more time for what you love most. Our pilates studio software gives your students freedom to view your class schedule, book classes and pay before they even step foot in your studio. Increase revenue and grow your studio with a powerful management system. Virtuagym’s clear reporting dashboards give you actionable insights and help you make informed business decisions. 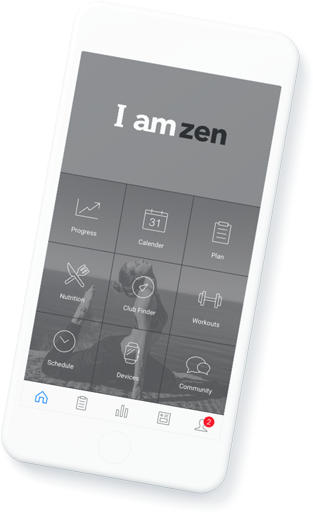 Build a pilates community with your own mobile app, connect students, create an online community, stay up-to-date and drive long-term success. An engaged student is a loyal student. Increase touch points with your students and drive engagement with your own Pilates app. Easily personalize your messaging by targeting individual students or specific groups. Increase class bookings and attendance with flexible booking and communication tools. Transform your passion into a sustainable business with our Pilates Studio Software. Set up flexible online Student Communication. Communicate new classes, motivational tips, special offers and more via Virtuagym’s communication features, which include private messaging, group messaging, marketing banners, and more. Sell more memberships with a seamless online sign-up and billing platform. And whether you’re charging for a single class, a 15 class package, or selling merchandise, our Pilates Software makes processing payments easy. Automatically update instructors’ schedules when a student books a class. Virtuagym’s studio scheduling software allows your students to book classes independently, whether online or via your scheduling app. All your member information is centrally managed in Virtuagym. Documentation is stored safely in the cloud, while integrations with our invoicing module make automatic renewals a breeze with Virtuagym’s Membership Management Software. How can we help you to build your online community? You want to connect with your students. With the Virtuagym pilates software, you have a unique online space for your clients to use to chat and discuss everything to do with your studio. You have the opportunity to show that you are close to your students and to your pilates business. How can our pilates software grow your business? Virtuagym has a powerful digital solution that will help your pilates business grow fast and for the long term. You cannot afford for your business to grind to a halt as you get bigger. You need to find quicker ways to be able to handle tasks on a big scale. With the Virtuagym pilates software, you can keep your business healthy and you are attractive to new clients. How can our software help your business? You want to do what you love most and that is teaching Pilates. Sure, you knew running a Pilates studio or teaching classes involved administration, but maybe it is taking more time than you expected. To manage a pilates studio requires business management. You don’t want to walk around with pen and paper or work with CSV files. Automation is the key. The more you automate with the pilates studio management software, the more you save time and you keep a good balance between your passion and administration. Why should you buy our pilates studio management software? With the pilates software from Virtuagym you can give your students the opportunity and the comfort to book their next visit anytime, anywhere. Your students can reserve places in your classes online, and you can easily track attendance. Virtuagym has a huge list of features that make life easier for pilates studio owners. What is the main benefit from our studio software? Today people expect fast and easy ways to complete their desired action whether it is booking a pilates class or ordering a pizza. With the pilates studio software from Virtuagym you can save time and manage all aspects from your pilates business like class scheduling, billing and payments. Next to that, you can connect with your students via your own online community.